As soon as school starts, I begin to look forward to Fall. 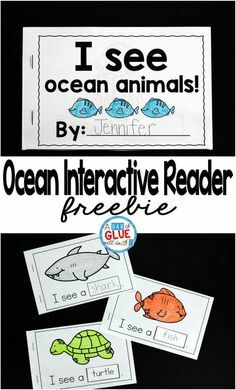 It’s such a fun season for learning in the classroom! We kickoff our unit with apples. 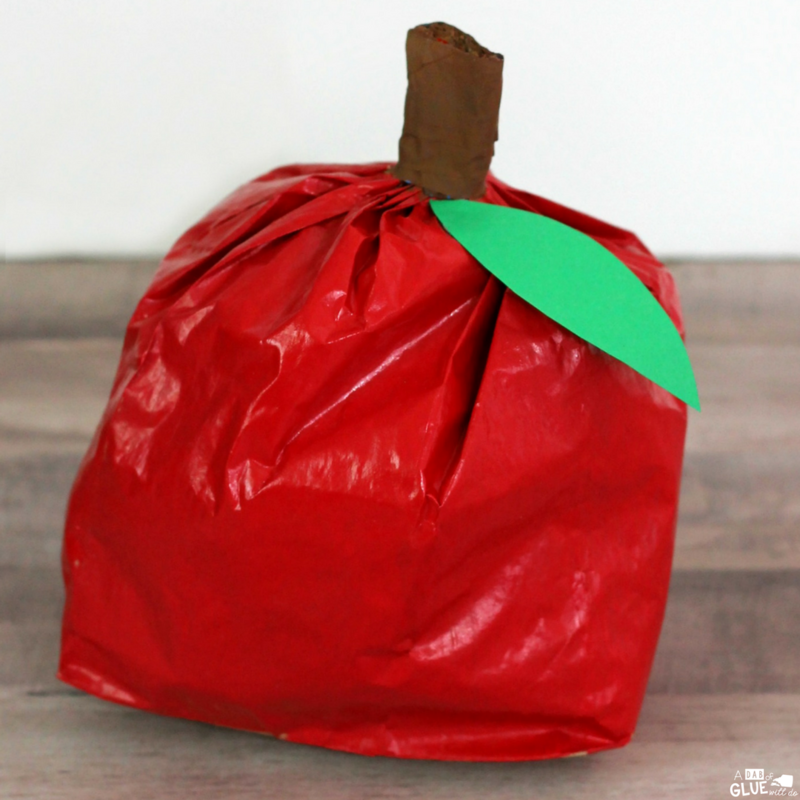 My students always love to fill the classroom with fall themed crafts like this Paper Bag Apple Craft. 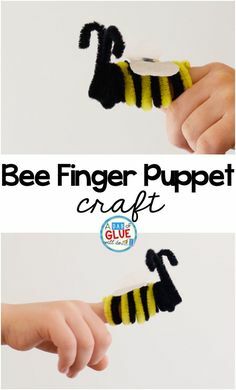 While making this easy-to-make craft, children will work on developing their fine motor skills and hand muscle strength. 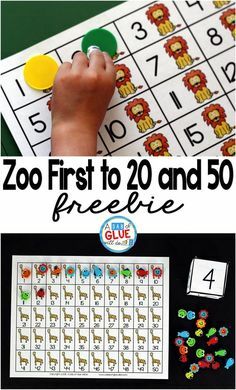 They will also practice listening and following directions too. 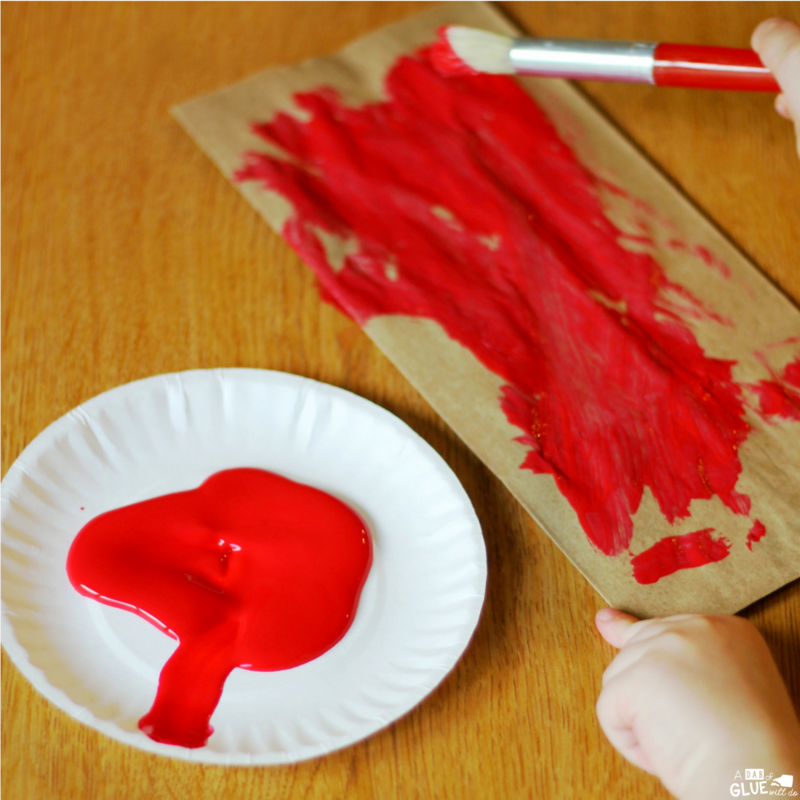 To begin making this fall craft, the children will paint a paper bag (lunch bag size) with the red paint. Depending on the type of paint used and the color of the bag, it may need more than one coat of paint. 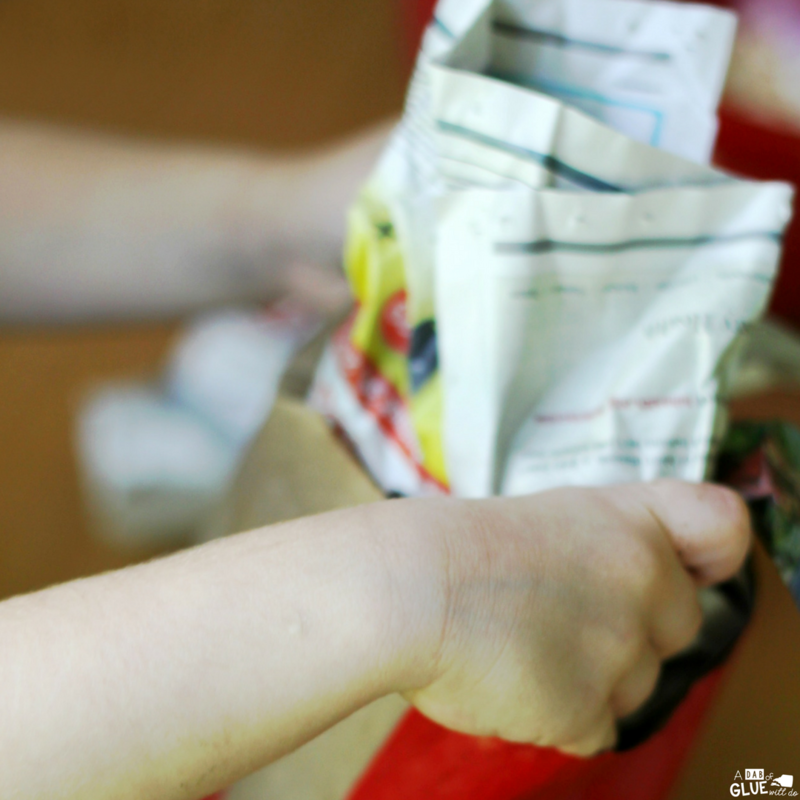 After the paint dries, the children will open up the bag. They will then crumble up the newspaper and stuff it into their paper bag until it is about halfway full. Next, the children will squeeze the top of the bag together and twist it so it looks like the stem of an apple. They will then wrap it with masking tape or painter’s tape to hold the twisted part of the bag together and closed. 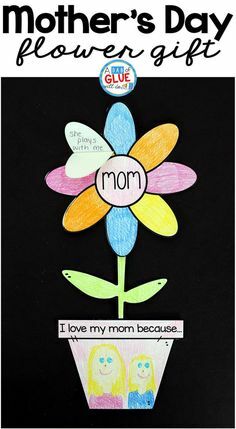 Then, the children will paint the stem with the brown paint. If they used painter’s tape, they may need more than one coat of paint. 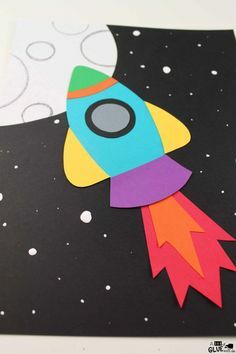 While the paint dries, they will draw a leaf on the green construction paper and cut it out. 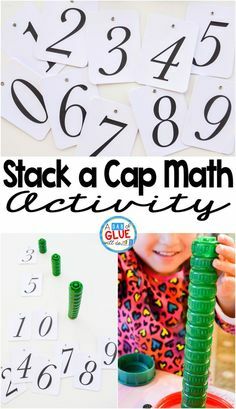 Finally, the children will tape or glue the leaf onto the top of the paper bag. 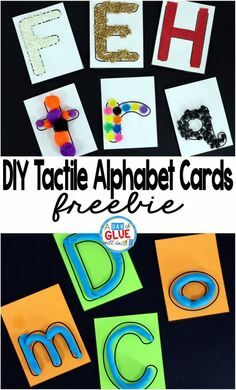 After completing these apple crafts, place them in a large wicker basket to create a bushel of apples and a fall decoration your students will love. 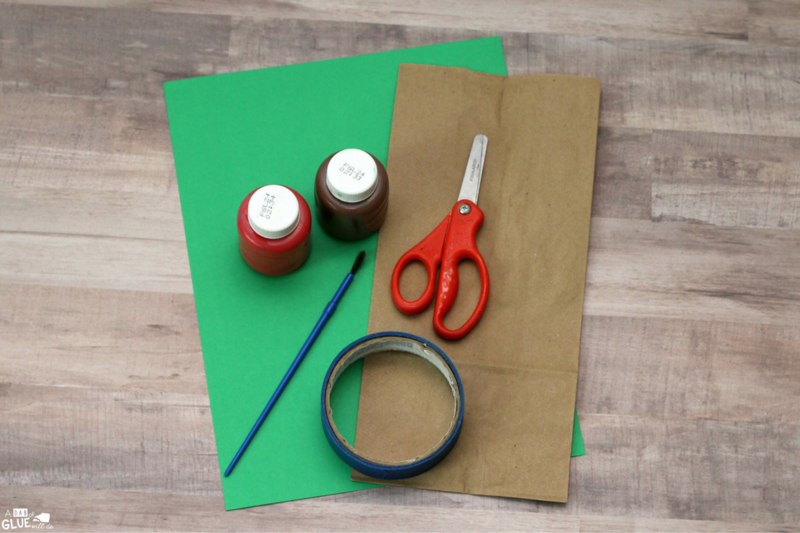 This Paper Bag Apple Craft is a fun and easy craft for young children to make to celebrate and decorate for Fall. 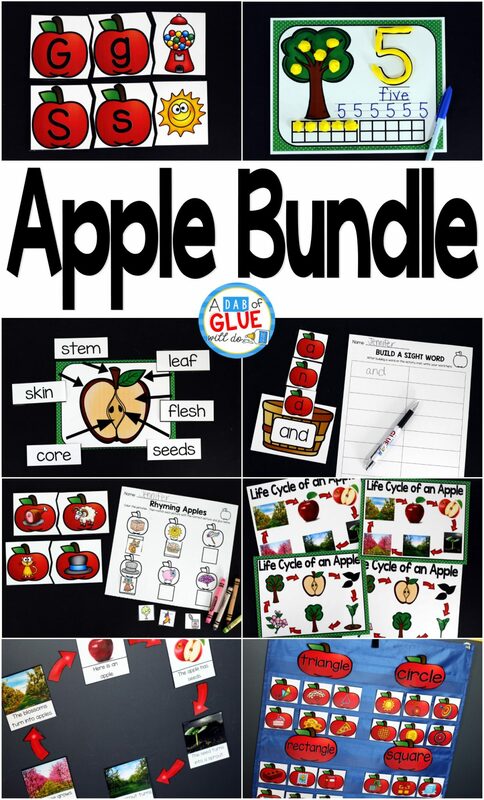 You might also like Apple Bundle!